Scripted Medical Series: A Prescription for Success? Medicine seems like a field tailor-made for compelling television. Hospitals are full of everyday and unusual triumphs and tragedies, surgeries provide high-stakes tension while the staff and patients provide sympathetic, human elements. Best of all, everyone has had an experience with a doctor or the hospital, so it is a setting that will resonate with audiences worldwide. Perhaps this helps explain why the history of medical shows is full of successful global hits, like NBC’s genre-defining drama ER. It is therefore no surprise that so many networks around the world commission scripted series either set in medical institutions or based around the life of a doctor or nurse character. Parrot Analytics examines its comprehensive global TV series data to discover the current trends in demand for scripted medical shows. How is demand for scripted medical series evolving? Generally, demand for medical titles is very stable staying roughly constant over the four months. 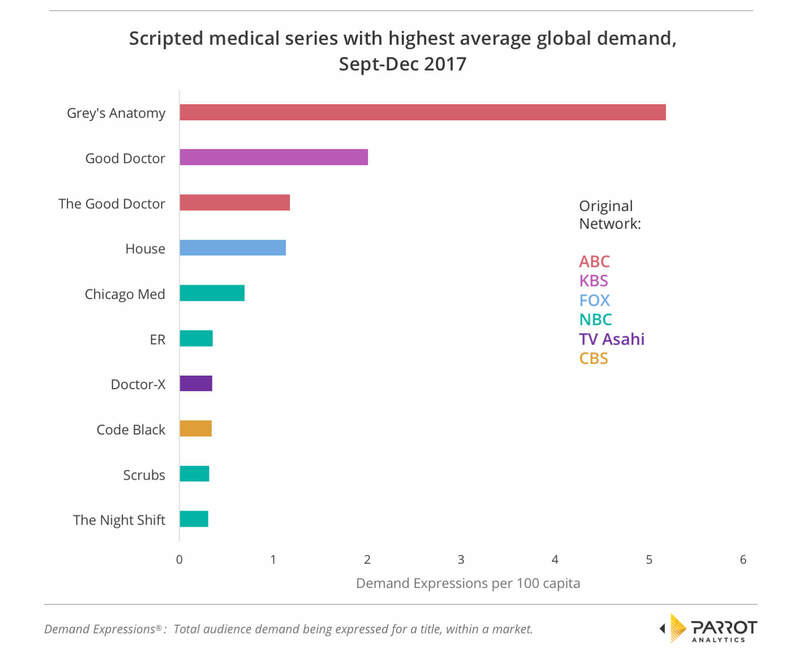 There was a noticeable jump in demand in late September as new medical series such as ABC’s The Good Doctor and FOX’s The Resident premiered on American networks’ fall schedules. Which shows drove this demand? 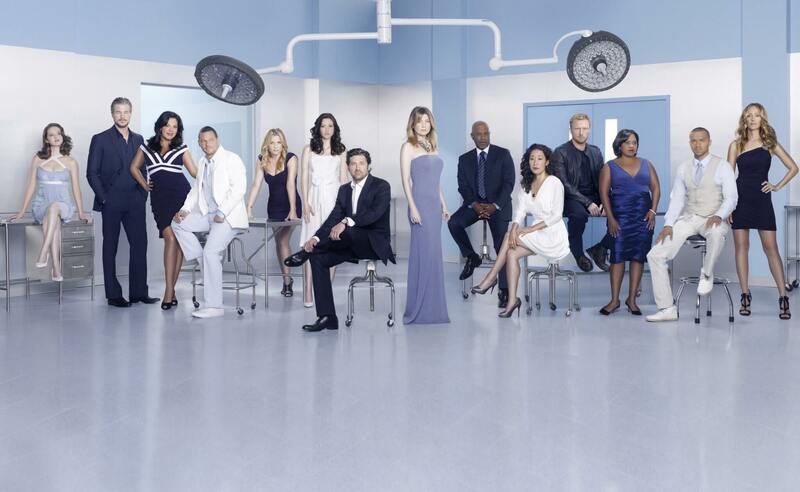 Demand for medical scripted series is dominated by ABC’s drama Grey’s Anatomy; the long-running drama has 2.6 times the demand of the next-most in-demand drama. Korean drama Good Doctor from KBS is the second most in-demand medical series over the four months while the third most in-demand is ABC’s newly premiered American remake of that exact show: The Good Doctor. Several shows that are no longer running appear in this list as well, including NBC’s recently cancelled The Night Shift. The most popular historical titles are Good Doctor, FOX’s House and NBC’s ER and Scrubs. Scrubs is also the only comedy in the world’s ten most popular scripted medical series. NBC’s medical portion of the Chicago franchise Chicago Med is fifth in the list. NBC has the greatest number of popular medical shows: Four titles are originally from that network. Besides Korea and the US, the only other country to produce a medical show that is popular worldwide is Japan. TV Asahi’s drama about a maverick surgeon Doctor-X is the seventh most popular medical title. Notably, this subgenre is dominated by broadcast networks: There are no shows in this top ten from cable or streaming services. Where does demand for medical scripted series come from? So far, this has been an examination of global trends. 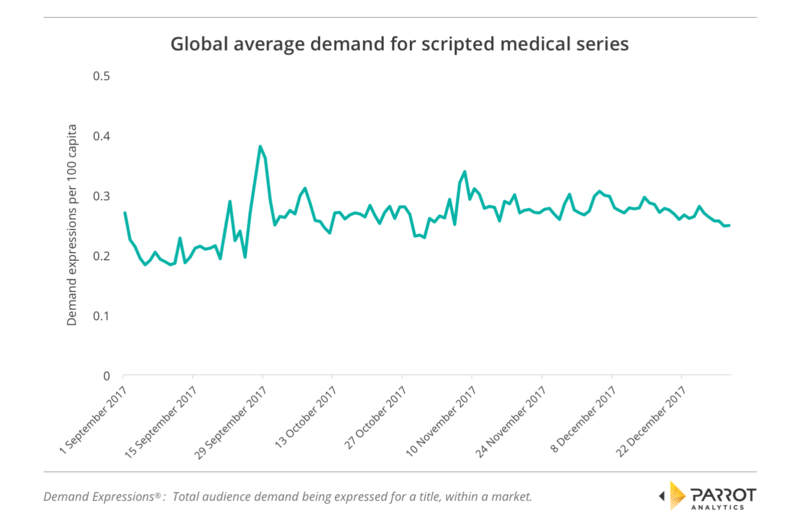 By comparing the average demand per capita for medical scripted series in each country over September to December 2017, we can see which markets are most enthusiastic about medical titles. Despite being the origin of many of the world’s most in-demand medical series, the US is not one of the top countries for demand per capita. Of the countries that did produce top ten most in-demand shows, only Japan also is in the top ten of countries that consume them. In fact, South Africa is the best market for hospital-set shows, followed by Italy, Jordan, Israel and Australia. 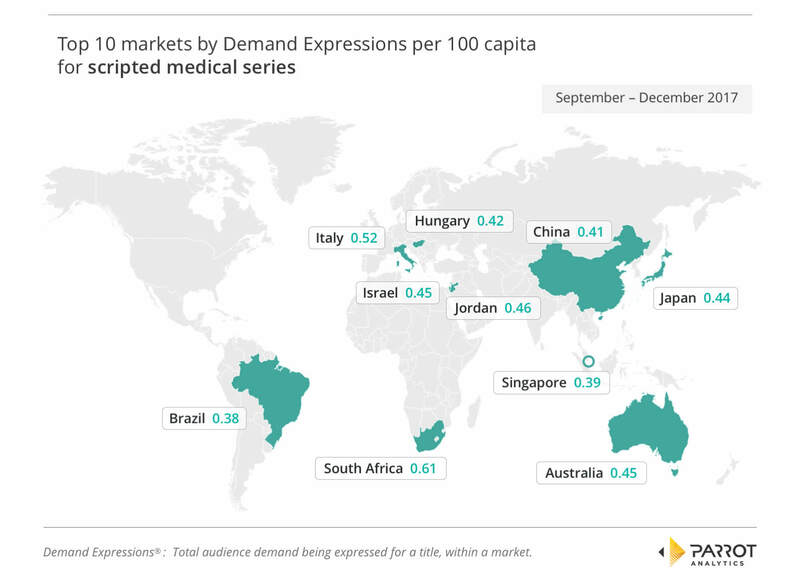 The top ten countries by demand per capita for medical scripted series are widely geographically and culturally distributed; a result that appears to confirm the assertion stated in the introduction that medical series have a universal appeal in all parts of the world.